In today's competitive environment, GlobalCAD Architecture boosts productivity and helps you deliver winning designs ahead of time. With its outstanding range of 2D and 3D design libraries, GlobalCAD Architecture gives you freedom to explore all of your creative ideas. Present your clients with optimal, highly cost effective designs as your ideas effortlessly flow from concept to completion. "GlobalCAD Architecture dramatically boosts productivity and helps us create stunning presentations." 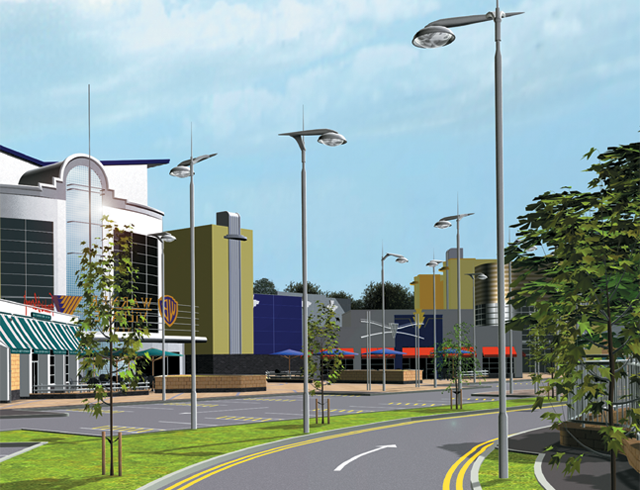 GlobalCAD Architecture includes hundreds of pre-drawn designs for impressive, instant results. Create comprehensive schedules and bill of materials from block attribute data at the click of a button! Query drawings for quantities and export data to a variety of file formats including Microsoft Excel and Access. Unique formatting options mean you can pre-set the style for each spreadsheet and export only the data that's critical to your needs. Freedom to investigate design concepts with professional 2D symbol libraries. 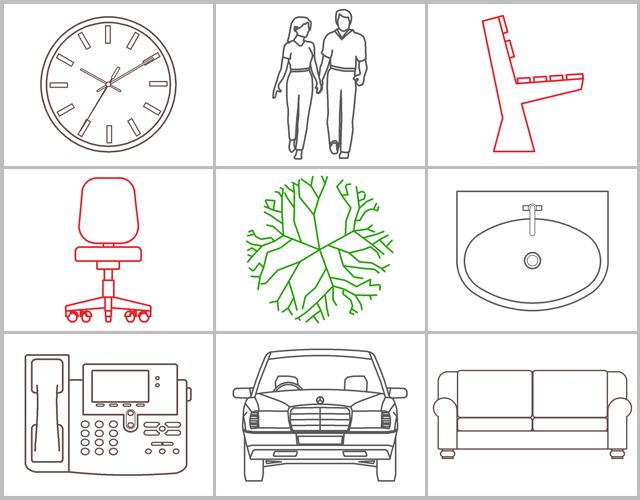 Published in association with industry experts, design libraries are indexed into familiar categories, saving valuable drafting time. Instant ribbon/toolbar access to symbols, hatch patterns and complex linetypes. 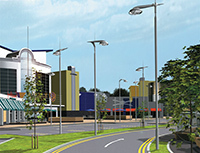 Create stunning presentations with an outstanding array of 3D models, featuring architecture, landscape GIS and civil. All models are render-ready with applied materials for fast, effortless photorealistic results directly within AutoCAD/BricsCAD. 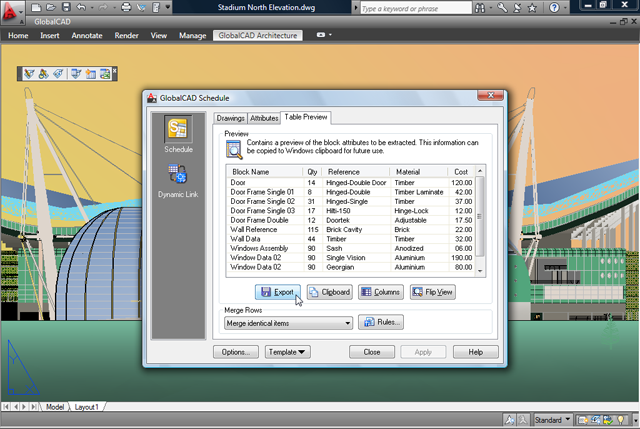 Options also exist for seamless export to visualization packages such as Autodesk 3DS Max and AccuRender. Browse and compare blocks and drawing details fast within libraries. Create extensive libraries containing 2D, 3D and attributed blocks within seconds - with no user intervention necessary! Generate surveys with ‘intelligent’ survey markers - for ultimate accuracy. Convert almost any existing survey type such as 2D markers, blocks, points in 3D space, contour lines etc. Move any markers in your drawing and their associative XYZ label automatically updates to reflect their new position! 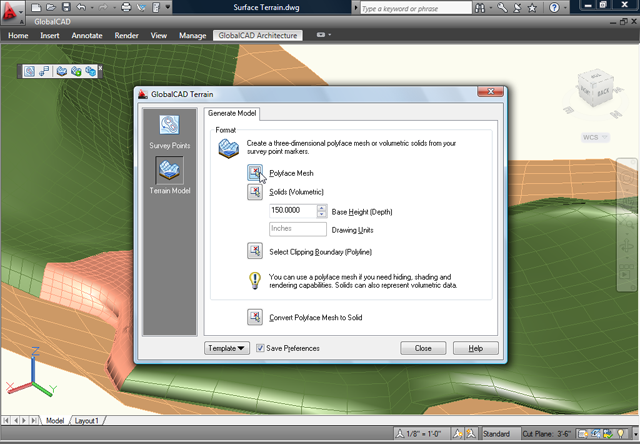 Easily create 3D surface terrains (mesh and solids options) covering vast areas with a single mouse click. Conversion tools to instantly transform any existing surface mesh to solids. 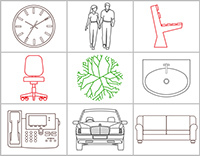 Quickly attach attribute and cost information to drawing objects and symbols. Query drawings and export critical data to a variety of popular spreadsheet formats including MS Excel and Access. Hot-link AutoCAD/BricsCAD drawings with Excel spreadsheets. Modify the properties of blocks from within Excel for true design synchronization!